Ankara has reportedly blocked Israel’s participation in a key NATO summit, despite objections from partners. It says Tel Aviv must first apologize for the killings of Turkish citizens in a raid on a humanitarian aid fleet in 2010. The objection to Israel’s presence at the event, which will take place in Chicago on May 20-21, was voiced by Turkish Foreign Minister Ahmet Davutoğlu during the alliance’s meeting in Brussels last week, reports Turkish daily newspaper Hürriyet. “There will be no Israeli presence at the NATO meeting unless they issue a formal apology and pay compensation for the Turkish citizens their commandos killed in international waters,” a senior Turkish official told the newspaper. 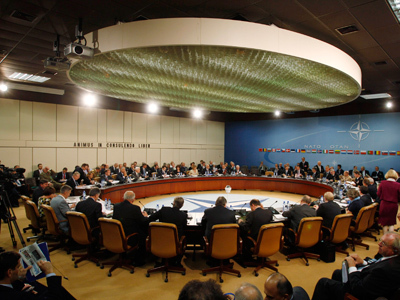 The unnamed official said other NATO members were pressing Turkey to revoke the veto, but Ankara refused to acquiesce. 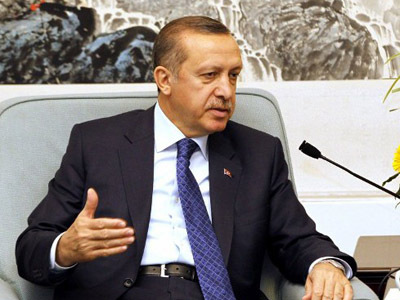 He called on Israel’s supporters in the conflict to convince Israel to do as Turkey wishes. The blocking is the latest in a string of Turkish moves against Israeli cooperation with NATO. Earlier it stopped Israel from opening an office at the NATO headquarters and blocked its participation in the Mediterranean Dialogue group. 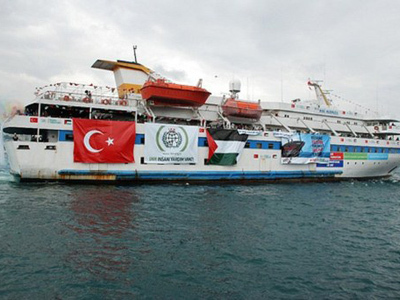 The countries have been engaged in a bitter quarrel for two years now, ever since the May 2010 commando raid on the Free Gaza fleet that resulted in the deaths of nine Turkish citizens on board the Mavi Marmara ship. 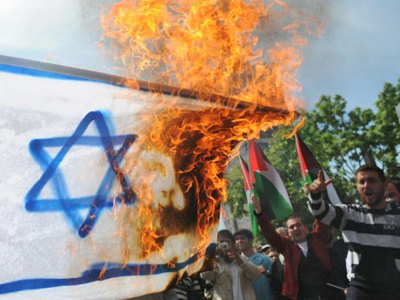 Tel Aviv refused to apologize for the killings, and in response Ankara severed virtually all ties with Tel Aviv. At the April 18 meeting, some members of NATO, including the United States and France, and Secretary-General Anders Fogh Rasmussen, reportedly criticized Turkey for bringing a bilateral conflict into the alliance’s affairs. The confrontational position is “a violation of NATO’s values,” Hürriyet cites them as saying. In response, Foreign Minister Davutoğlu said that NATO’s partnership values hardly correspond to a situation in which a country NATO calls a partner kills citizens of a NATO member and fails to apologize for it. Turkey’s membership in the alliance came under the spotlight recently, after Ankara threatened to invoke the collective security rights in response to a Syrian cross-border raid on a refugee camp. The idea was later aired at the meeting of the so-called Friends of Syria group, which gathered in Paris last week to discuss the possibility of putting more pressure on the Syrian government.